In all fairness, I have only limited experience with tires. 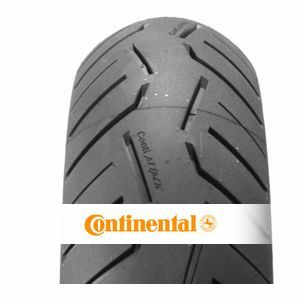 I've got only 6000 km motorcycle experience in total, 1000 of which with these tires. That aside, these tires are worlds ahead to my previous ones (Dunlop Arrowmax 110/70 & 130/70). I now feel safer on wet, than I did before on dry. I've noticed I can lean in far deeper, and I'm comfortable taking bends at higher speeds than before. I've also got the feeling that they steer in easier, but that's probably because I went for a wider front tire on the same rim (and also because my old tires were more worn out I presume). Om uw mening te geven over de Continental ContiRoadAttack 3, dient u zich in te loggen door hier te klikken.